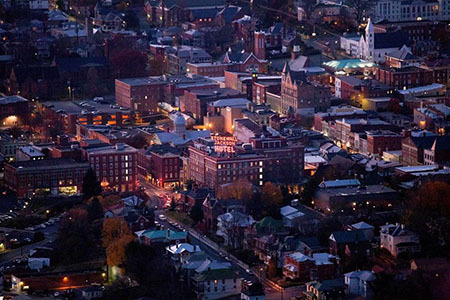 The conference will be at the Stonewall Hotel and Conference Center in Staunton, Virginia, located in the Shenandoah Valley of Virginia. Rooms are available on Thursday and Friday night at a special conference rate of $115/night plus tax. Reservations can be made by calling 540-885-4848 or 1-866-880-0024 (toll free). Be sure to call before May 21, 2019 and mention ETOP in order to receive the conference rate. The hotel often sells out of rooms, so make your reservations early! If you plan to drive, directions can be found on the hotel website. The hotel address is 24 S Market Street, Staunton VA 24401. There are no shuttles from these airports but all have car rental options on site. Another option is to travel by train. Staunton is served by AMTRAK from both Philadelphia and Washington DC.